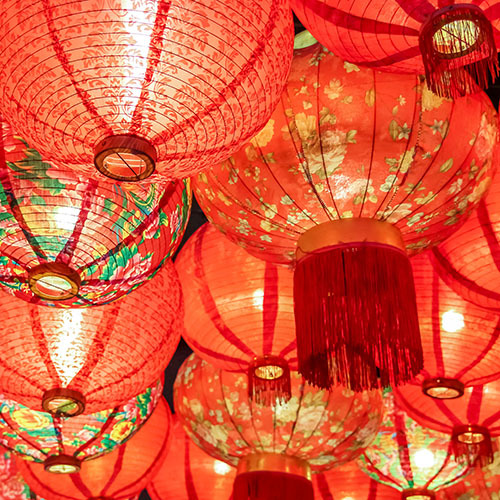 Chinese New Year is just around the corner and at UnCOVered, we can’t wait to get involved in the celebrations. We’re excited about sharing a roundup of the best things to do in our region to mark the Year of the dog with you all! Every year, Chinese New Year takes place on a different date because it is based on the lunar calendar and this year Chinese New Year will fall on Friday 16th February 2018 – the Year of the dog. Chinese New Year traditions include; the lighting of firecrackers to signal the end of last year and the beginning of the next, the ringing of bells and by watching traditional lions surrounded by family and friends. In China, families tend to decorate their houses with red banner paper cut-outs, and new year paintings. They then gather together for a reunion dinner and on New Year’s Day families clean their houses and sweep away bad fortune. There’s lots for you to do if you’d like to join in with the colourful and fun-filled festivities this year – we know we’ll definitely be joining in! For the first time ever, Coventry University Students’ Union, the office of Chinese Language Council International and the Chinese Embassy of the UK will jointly hold 2018 Chinese Spring Festival Activities with the Confucius Institute at Coventry University and the Chinese Society at Coventry University. So, if you want to get involved and be part of a buzzing atmosphere, then attend the Chinese New Year Spring Gala – but don’t forget to book your tickets first. Here, you’ll be able to watch performances from AcroRock Dance School, enjoy; comic skits, modern dance, hear songs from Coventry Winners of The Voice and revel I musical performance of Urhu. Here, you will find lots of free activities to celebrate Chinese New Year. You can take part in taekwondo taster sessions, have a go at calligraphy, dance your heart out a ribbon dancing class and watch an authentic lion dance. Take your celebrations to the next level in this China Exchange workshop. Here, you’ll have the chance to dress up in traditional Han Chinese clothing – known as hanfu 汉服 and practice dance steps too! You can even have your hair and makeup done and take the perfect selfies for Instagram. A programme of free entertainment and activities including; the dance of the dragon, free rides and traditional lantern making will take place in and near Arcadian Centre. 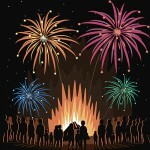 This massively popular event has been taking place for years and attracts up to 30,000 people every year. The majority of visitors are usually students and families from all backgrounds so you have the opportunity to mingle with others while enjoying authentic Chinese street food! Kung Hiy Fat Choy 恭喜发财to all who are celebrating from everyone here at UnCOVered!